Laser cutting services WE LASERS Laser cut sign. 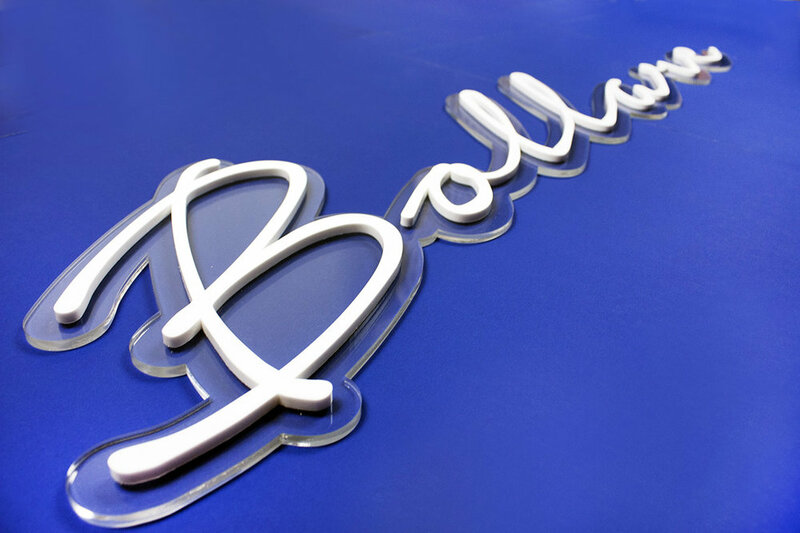 Just finished assembling this laser cut sign for a New York event company Bollare. Material: white opaque 1/4in acrylic glued to 1/4 in clear acrylic base.